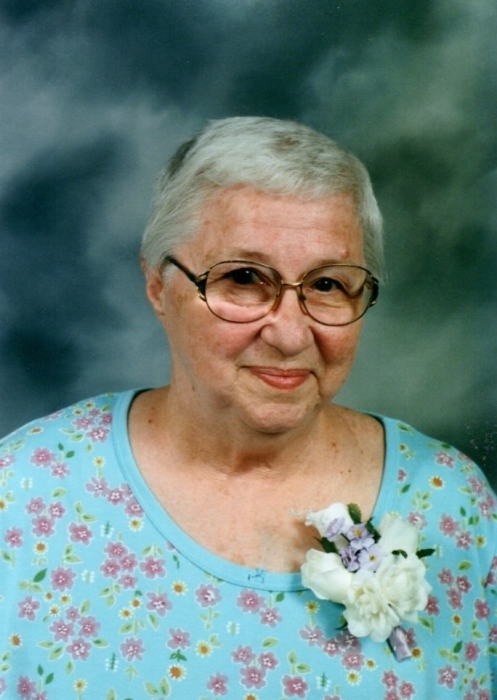 Cherie E. Arnold age 84 of Hammond, passed away on Friday January 25, 2019. She is survived by her children Jeane (Dennis) Hicks, James (Debbie) Arnold, Jerri (Pam) Arnold, and Bobby (Alison) Arnold; grandchildren Tara (Beth) Hicks, Dennis Hicks, Beth Arnold, Jen (Harvey Crawford) Arnold, Brittany (David) Rosenberry, Brandyn (Krista) Arnold, and Paul (Abby) Arnold; 15 great grandchildren, and 1 great great grandson. Cherie was preceded in death by her parents Elmer and Alma Cook; husband of 43 years Calvin; daughter Cindy Lee Arnold; and by her siblings Don, Dennis, Terry, Dale, and Barb. Funeral services will be held on Wednesday January 30, 2019 at 10:00am at White Funeral Home with Rev. James Williams officiating. Burial will follow at Elmwood Cemetery in Hammond, IN. Friends may meet with the family on Tuesday January 29, 2019 from 4-8:00pm at White Funeral Home located at 921 W. 45th Ave in Griffith, IN. Cherie was a loving and caring person to all. She will be greatly missed by those who were privileged to know her.